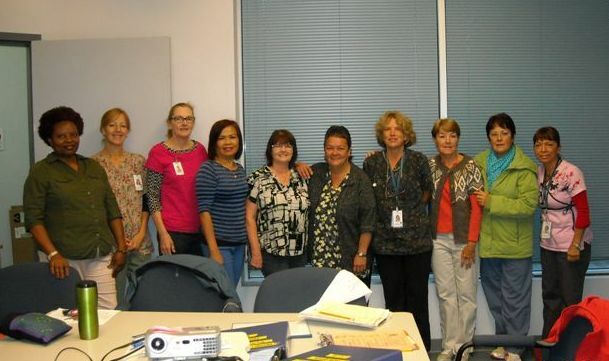 At a time when incident reporting systems have become increasingly paramount to improving healthcare safety, a group of home support staff on British Columbia’s Sunshine Coast have risen to the top to overcome some interesting challenges with reporting patient safety events in SLS (Vancouver Coastal’s version of PSLS). In this digital era most people would agree that computers and the Internet have become integral components of our everyday lives. Indeed, this is one of the key benefits of SLS – it’s an online ‘tool’. It gives healthcare organizations the ability to eliminate paper-based forms and adopt a more sophisticated online safety event reporting and management system. But for Community Health Workers (CHWs), quick and easy access to computers is often a challenge, turning technology, instead, into a significant stumbling block. How can healthcare workers report patient safety events into an online system without access to a computer? Karen Inkpen is Manager of Home Care Services on the Sunshine Coast and she’s been a strong advocate of SLS since the beginning, appreciating its potential to improve patient safety and quality of care, and she recognized that a lack of computer access would be a barrier for home support staff. Karen and a group of committed CHWs needed a practical, immediate solution, so they worked together to develop a paper version of the SLS safety event report form that CHWs could carry with them on their client visits. 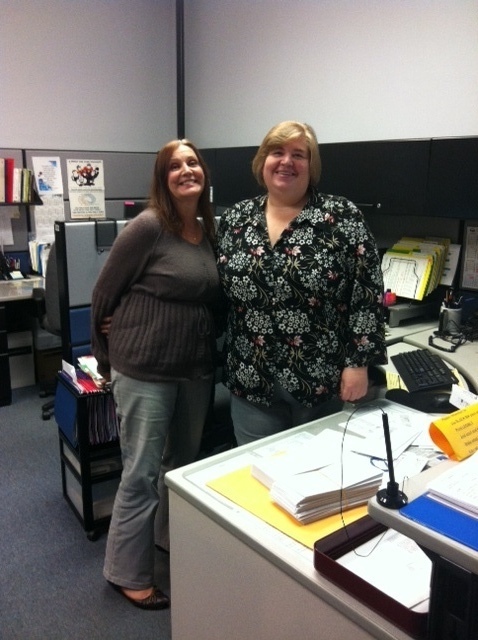 Karen continually encourages her staff to report in SLS and strives to inspire a non-punitive reporting culture. The team is now applying their findings from SLS to customize aspects of client care planning by trialing an “at the kitchen sink” exercise program and they plan to pull together a medication safety team to analyze root causes of medication events. Congratulations to Karen, Esme, Erin and all the CHWs on the Sunshine Coast! 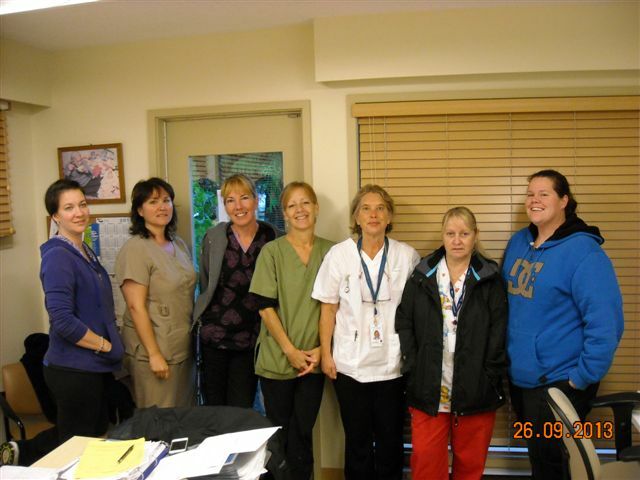 For more information about Vancouver Coastal Health click here. Congratulations Karen and team on an innovative solution to challenges in addressing and communicating about safety issues.